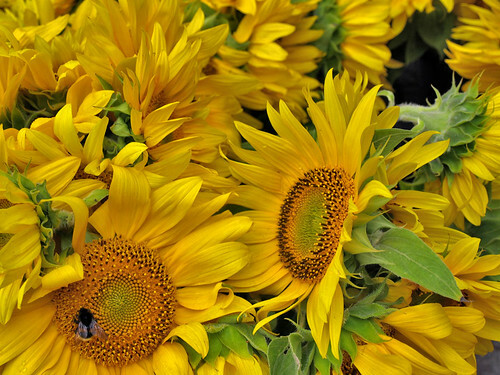 Sunflowers is happiness for me. Love the geometric pattern in the middle of the sunflower. If you look at it for a while it seems to change it´s pattern. Cool. The pattern is really cool, I didn’t really notice it so much to be honest. Glad you liked the photo. I wonder if the bee has a pattern to follow on the flower?